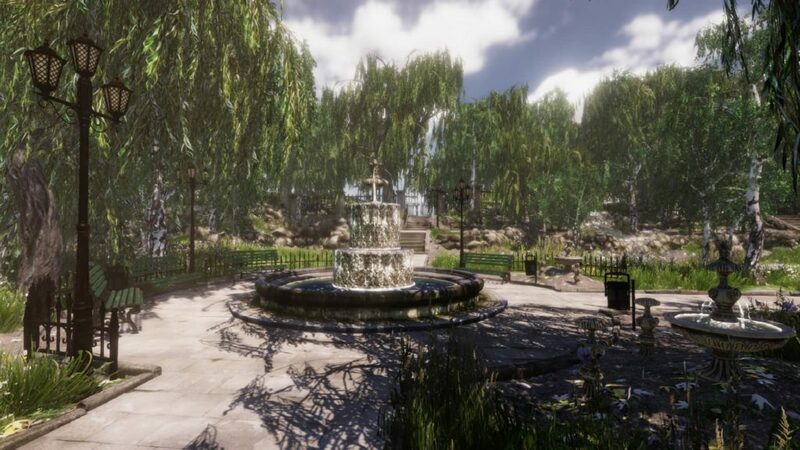 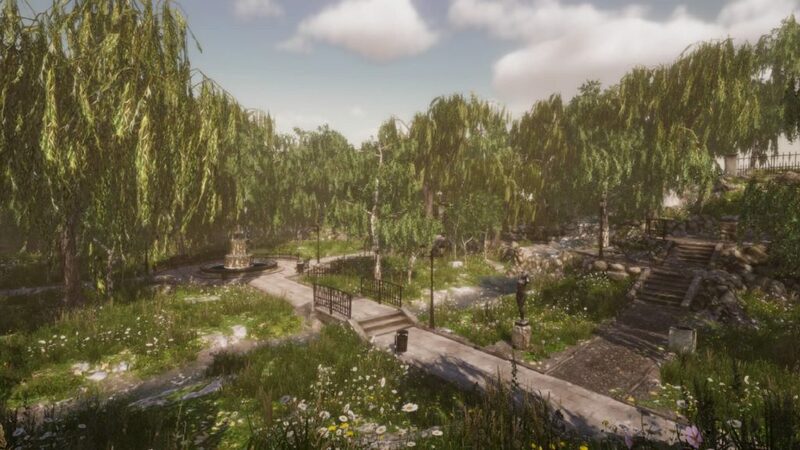 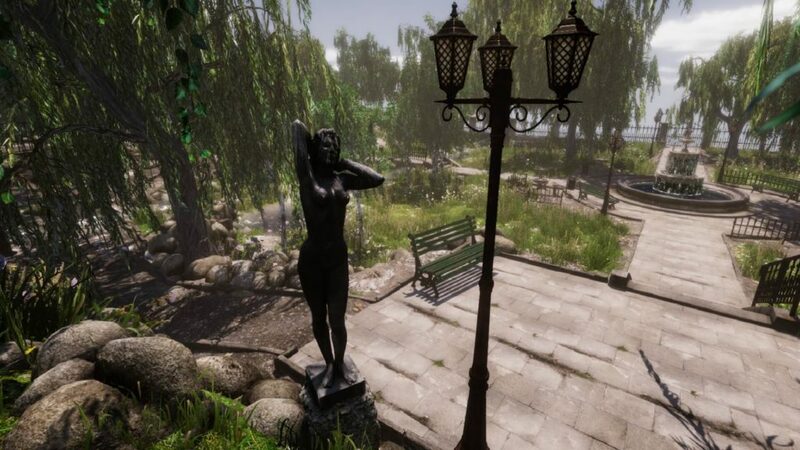 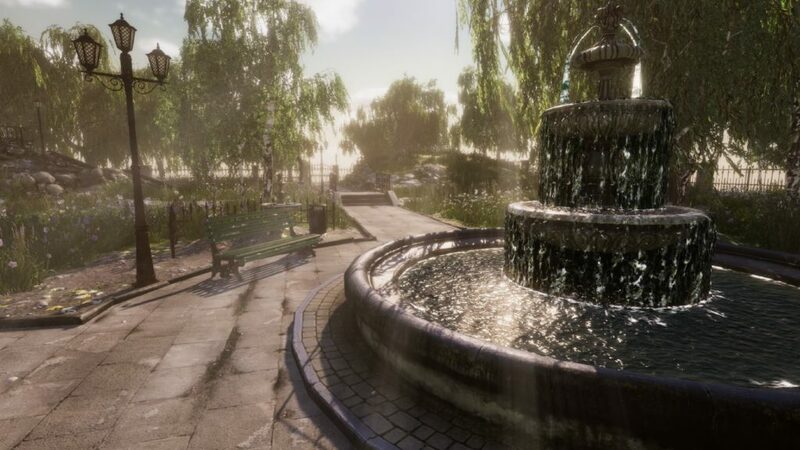 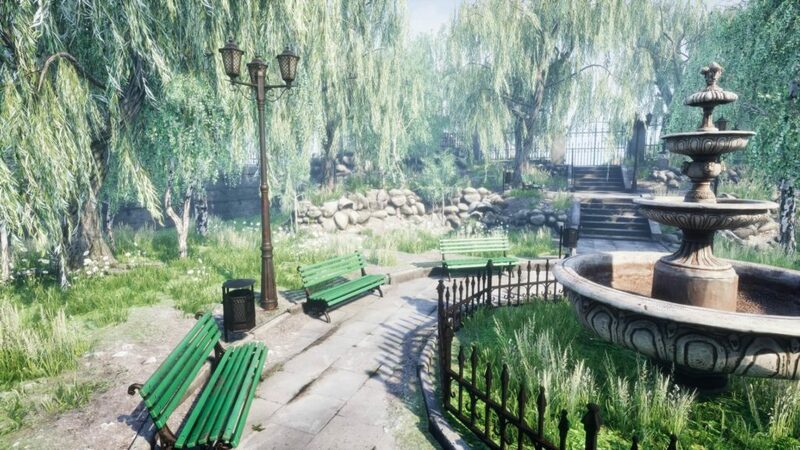 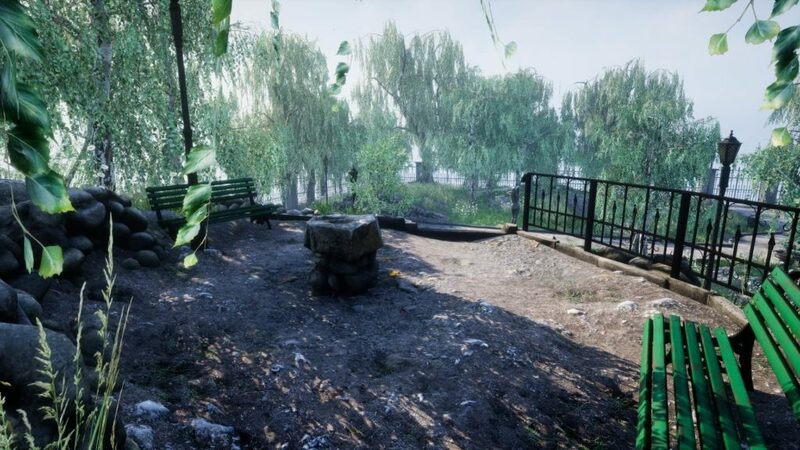 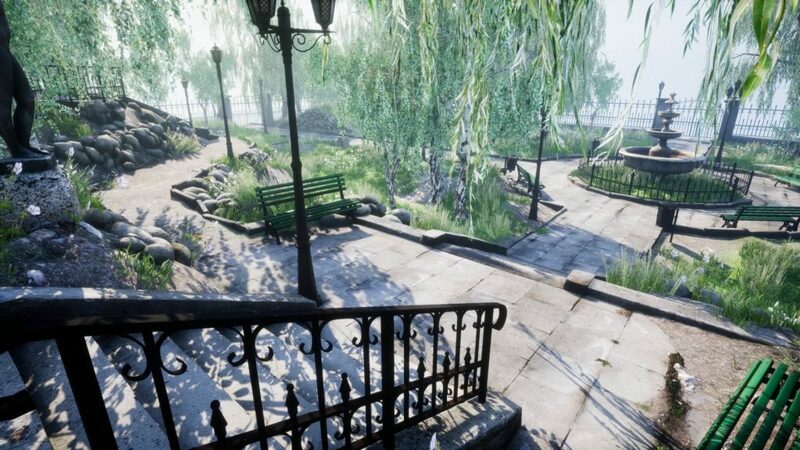 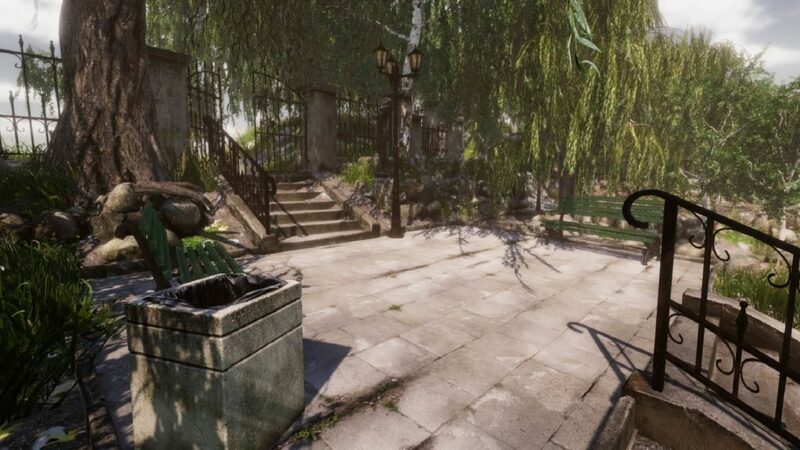 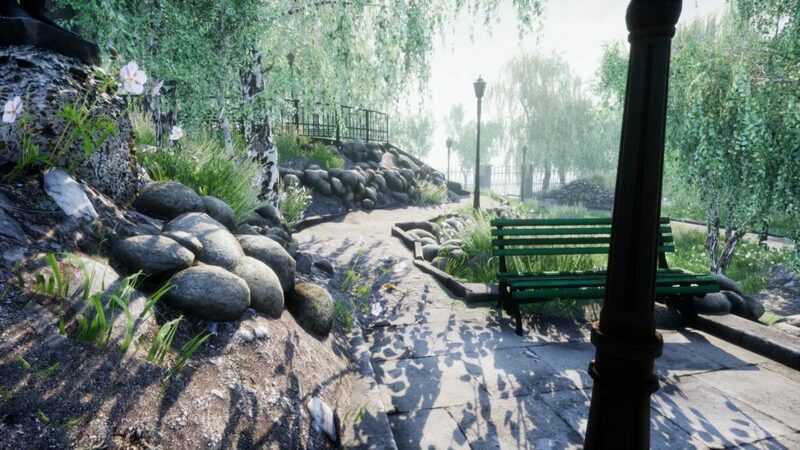 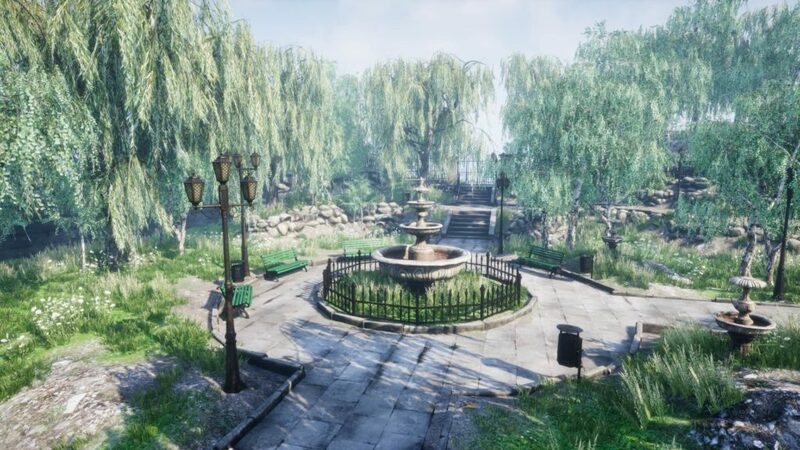 This pack contain photoscanned and sculpted park elements such as: bench, stairs, walls, fence, rocks, dumpsters, laterns, pavment, rumors, modular fountain and gate. 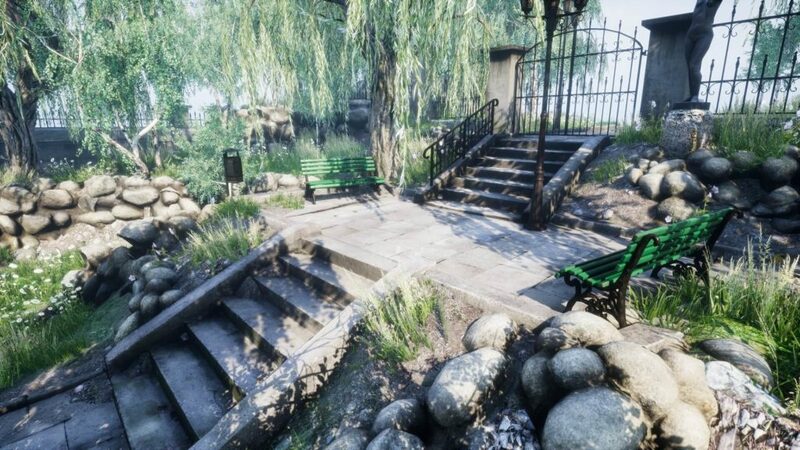 This pack is group of scanned and sculpted PBR assets for park. 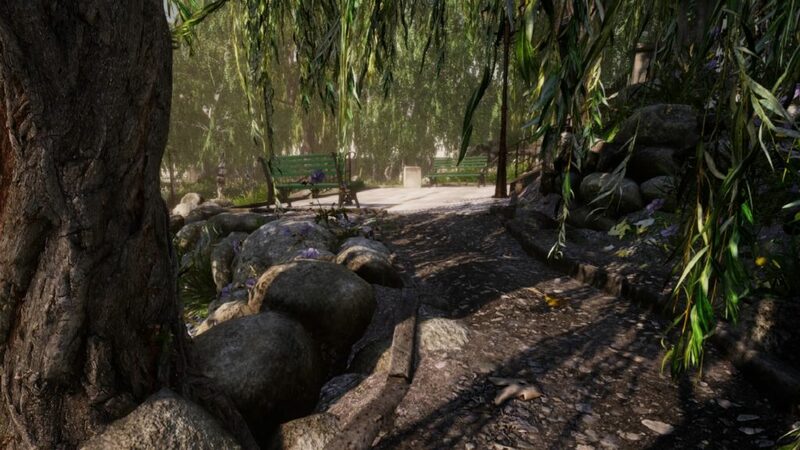 Used foliage (grass and trees) at screens is from Nature Set or Dynamic Nature – Starter (Unity) also made by us.